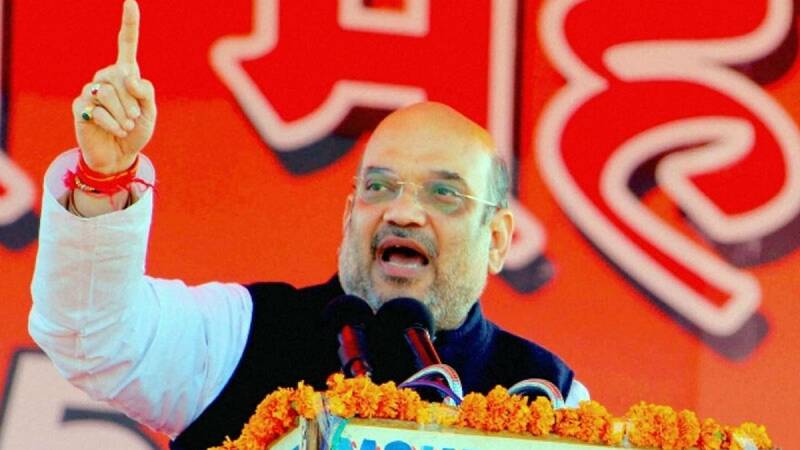 Panaji : The Goa bench of the Bombay High Court on Monday issued notices to top central and state officials in connection with a political meeting addressed by BJP chief Amit Shah within the Dabolim International airport premises on July 1. The court issued notices to the Secretary of Civil Aviation Ministry and the Goa Chief Secretary, among others, asking them to submit a written explanation within three weeks. Justice F.M. Reis and Justice Nutan Sardessai issued the notices following a petition by a city lawyer, who had alleged that the Bharatiya Janata Party meeting was held at the Goa airport, which is operated from an Indian Naval Base. The petitioner had alleged that it was illegal and conducted in contravention of laws. "Notices have also been issued to Goa Director General of Police, Goa Airport Director and Deputy Commandant of Central Industrial Security Force asking them about how the meeting was conducted at an airport," petitioner Aires Rodrigues told reporters in Panaji on Monday. The petition sought a thorough probe into the manner in which the meeting was allowed to be conducted at the airport which functions out of an Indian Naval Base INS Hansa, the petitioner said.